Austria-headquartered Starlinger & Co. GmbH has opened an independent regional office in Surabaya, Indonesia to enhance sales and service support for customers in Southeast Asia. The PT Starlinger SEA , which is operating as an independent company, caters to the growing woven packaging market in the region. 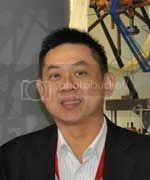 Headed by Hengky Senjaya, the new office handles sales and service activities of both business areas of Starlinger, textile packaging machinery and plastics recycling lines. Four regional technicians are available for technical service and support, with more technicians being hired and trained in the course of the year. “The aim is to provide full technical service coverage and to establish Indonesia as the base for Starlinger’s technical service activities in Asia. The new office will also facilitate the market development in the region and help us to further strengthen our position in Asia”, said Hermann Adrigan, Starlinger Sales Director. Starlinger’s complete lines for woven plastic bag production and PET recycling have gained a customer base that’s tapping on the region’s growing packaging sector. The agricultural sector, wherein about 95% of all agricultural products destined for the local markets are transported in woven plastic bags; and the expanding cement and chemical industries, together with fast growing export rates, provide further markets for flexible woven packaging.